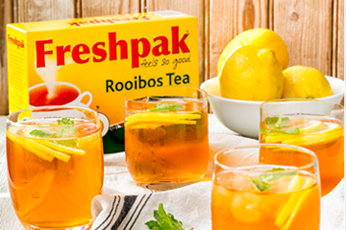 Freshpak is a South Africa’s number 1 brand of rooibos tea. 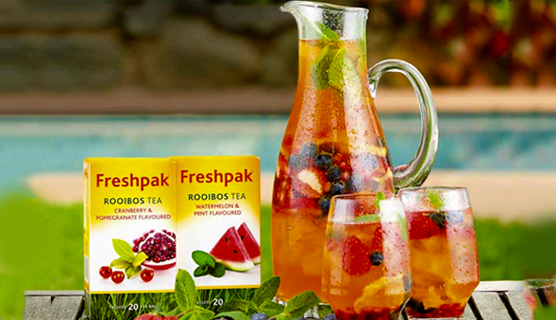 With a range spanning across Rooibos, Herbal flavoured and green tea’s – all with the added benefit of being caffeine free tea. 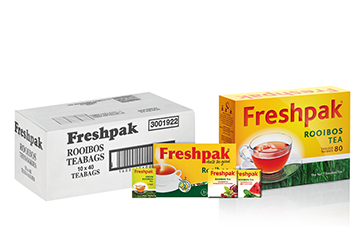 So, whether it’s a healthy reviving Rooibos or Rooibos Green Tea you’re after, or a refreshing cup of speciality tea, the Freshpak range offers a selection of deliciously healthy, caffeine-free beverages that can be enjoyed both hot and cold. Most of us are striving for healthier lifestyles: which is why we strive to ensure that consumers are able to consume a tea that is of the highest quality. This brand is supported by unique recipe development and tea tastings.